CUPERTINO, Calif., Oct. 10, 2018 /PRNewswire/ -- Altia Systems, creator of PanaCast® 2, the world's first 180° Panoramic-4K Plug-and-Play camera system, announced today the launch of the PanaCast Zoom Rooms Kit, debuting at Zoomtopia 2018 in San Jose, California. The product bundle will include a variety of high tech video conferencing solutions, optimized for use with the Zoom cloud platform, and is now available for purchase across the US on www.VideoConferenceGear.com, a Zoom Rooms certified integrator. "Zoom is now used by workplaces across the US and around the world," said Chris DeNovellis, Zoom's Partnerships Development Manager, Hardware. "We carefully select each product that goes into our bundled solutions to provide the most high-tech, easy-to-use collaboration experience. The PanaCast Zoom Rooms Kit brings an immersive and intelligent huddle room experience with a camera system that's unlike any other, which ramps up workplace engagement and productivity." "Successful modern collaboration requires 100% video, 100% audio and 100% data coverage," said Altia Systems Director of International Sales and Business Development, Javed Tufail. "Single cameras are incapable of capturing an entire room due to their limited fields of view, leaving our 180º panoramic camera as the only solution capable of capturing complete data for any conference room or huddle space. Customers can spec-in PanaCast's Intelligent Vision products, such as Intelligent Zoom - shipping since February 2017 - and PanaCast Vivid to help enhance participants' experience with autonomous intelligent technology." 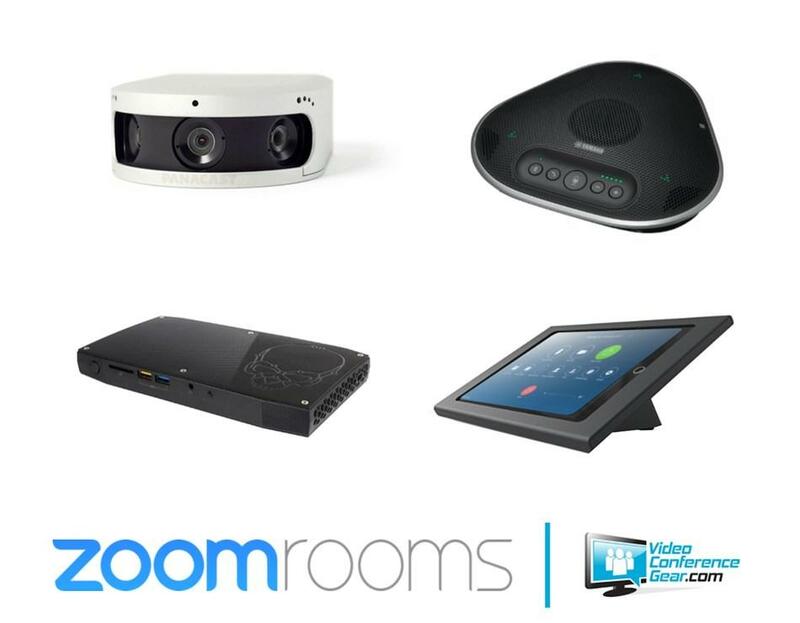 Ryan Pinke of VideoConferenceGear.com said, "The PanaCast Zoom Rooms Kit enables companies to easily equip their offices with Zoom-enabled conference rooms that provide an immersive video collaboration. Easy installation is important to us and the PanaCast 2 delivers out of the box. We have designed several PanaCast Zoom Room bundles to outfit huddle rooms, medium sized conference rooms and training rooms." The bundles, along with other intelligent video collaboration technologies from the PanaCast product line, will be demonstrated at Zoomtopia in San Jose, California from October 10-11, 2018. PanaCast Zoom Rooms bundles are now available for purchase on www.VideoConferenceGear.com, and will soon be available through additional PanaCast channel partners around the world. Altia Systems® is a venture-backed company based in Cupertino, CA, and is the creator of the PanaCast® system and software products. PanaCast® 2, the world's first Panoramic-4K Plug-and-Play camera system that delivers a 180° wide field of view, which replicates the natural human visual perspective. Funded by Intel Capital and other leading investors, Altia Systems' PanaCast 2, 2s, 3D VR and Live systems deliver real-time 180° Panoramic-4K, Panoramic-5K and 4K 3D video streams from integrated, synchronized and optimized multi-camera arrays. PanaCast systems and Intelligent Vision (artificial intelligence) software products are used by more than 1,500 companies worldwide, including 400+ universities, for video collaboration, education, AR/VR, live broadcasting and machine learning for autonomous systems. PanaCast system devices are designed and assembled in the U.S. and have received prestigious awards such as CES Innovation Awards Honoree, Frost & Sullivan New Product Innovation, GOOD DESIGN award, Gartner Cool Vendor in Unified Communications and more. For more information and the latest updates, visit www.panacast.com and follow @PanaCast1 via Twitter. \"Zoom is now used by workplaces across the US and around the world,\" said Chris DeNovellis, Zoom's Partnerships Development Manager, Hardware. \"We carefully select each product that goes into our bundled solutions to provide the most high-tech, easy-to-use collaboration experience. The PanaCast Zoom Rooms Kit brings an immersive and intelligent huddle room experience with a camera system that's unlike any other, which ramps up workplace engagement and productivity.\"
\"Successful modern collaboration requires 100% video, 100% audio and 100% data coverage,\" said Altia Systems Director of International Sales and Business Development, Javed Tufail. \"Single cameras are incapable of capturing an entire room due to their limited fields of view, leaving our 180º panoramic camera as the only solution capable of capturing complete data for any conference room or huddle space. Customers can spec-in PanaCast's Intelligent Vision products, such as Intelligent Zoom - shipping since February 2017 - and PanaCast Vivid to help enhance participants' experience with autonomous intelligent technology.\"
Ryan Pinke of VideoConferenceGear.com said, \"The PanaCast Zoom Rooms Kit enables companies to easily equip their offices with Zoom-enabled conference rooms that provide an immersive video collaboration. Easy installation is important to us and the PanaCast 2 delivers out of the box. We have designed several PanaCast Zoom Room bundles to outfit huddle rooms, medium sized conference rooms and training rooms.\"